We Provide Latest News and Updates about Cricket. 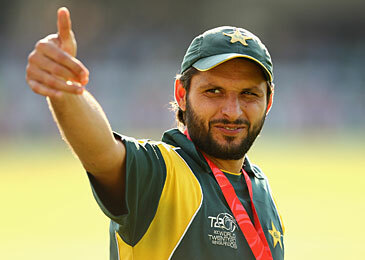 Shahid Afridi, the Pakistan allrounder, has been dropped from the one-day squad for the tour of India in December. Opening batsman Imran Nazir and allrounder Abdul Razzaq, who were part of the team against Australia in the UAE in July, were also left out. ODI squad: Nasir Jamshed, Mohammad Hafeez, Azhar Ali, Younis Khan, Misbah-ul-Haq, Haris Sohail, Kamran Akmal, Saeed Ajmal, Wahab Riaz, Junaid Khan, Umar Gul, Imran Farhat, Umar Akmal, Anwar Ali, Zulfiqar Babar.